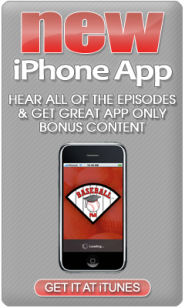 Our listeners have increased 631% in one year. Our PhD Committee is happy but the 4th place Angels are not. Angels Stadium is beautiful as Ed Kasputis and Mr. Sports Travel aka Joe Connor remember meeting each other for the first time at this ball park. 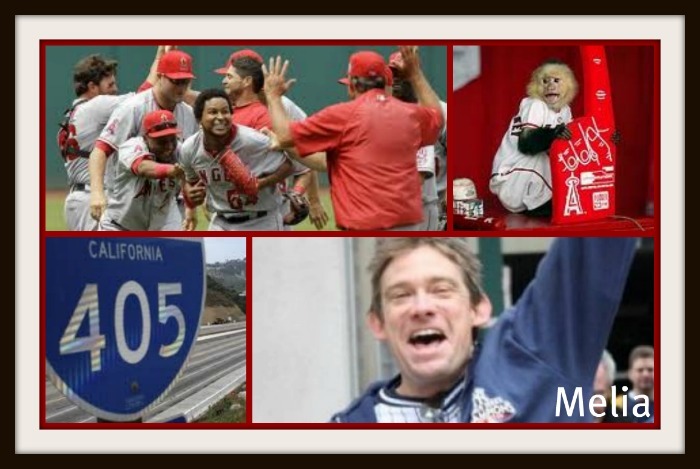 Ed also interviews former Angels bat boy, Paul Hirsch about his beloved Angels. The podcast concludes as we say good bye to the home of Disneyland and fly east to a strong city that has been in our prayers – Boston. Merry Christmas with our first Christmas podcast. 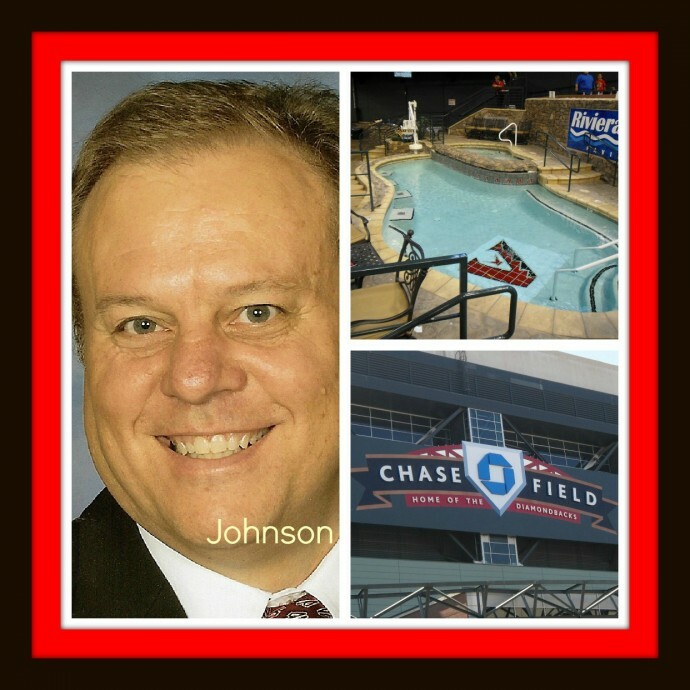 Mr. Sports Travel aka Joe Connor tells us about the top 5 international baseball places to see. 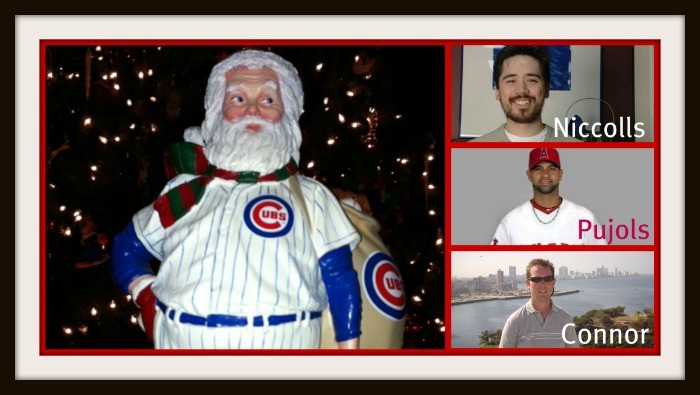 Baseball Bob talks about Christmas in Anaheim (Go Pujols!) and Chris Niccolls from thecameratore.com compares the Nikon V1 against the Sony NEX-7 so we can determine the best baseball camera for 2012. The podcast concludes as we remember Christmas night, 1776. We’re in Orange County talking about those Angels. 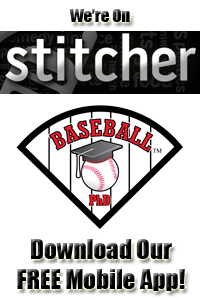 No hitters in Cleveland, the Rally Moneky, carmaggedon, Josh Beckett’s Angel imitation, the 162 game journey of comedian, Steve Melia and much more in this Angelic podcast. Then our PhD Committee packs up and heads north to the 4th oldest Major League ball park – the Oakland Coliseum. Next week, it’s time for the Oakland Athletics. 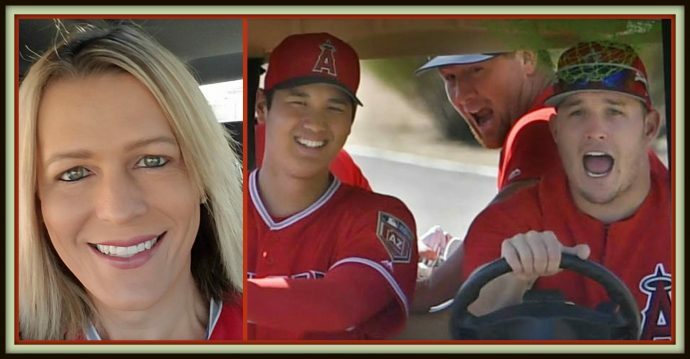 Ed, Farley and Mark are in beautiful Orange County California, home to the Los Angeles Angels of Anaheim. Our PhD Committee explores Southern California and then reviews the upcoming MLB All Star Game that will be held in Anaheim on July 13th. 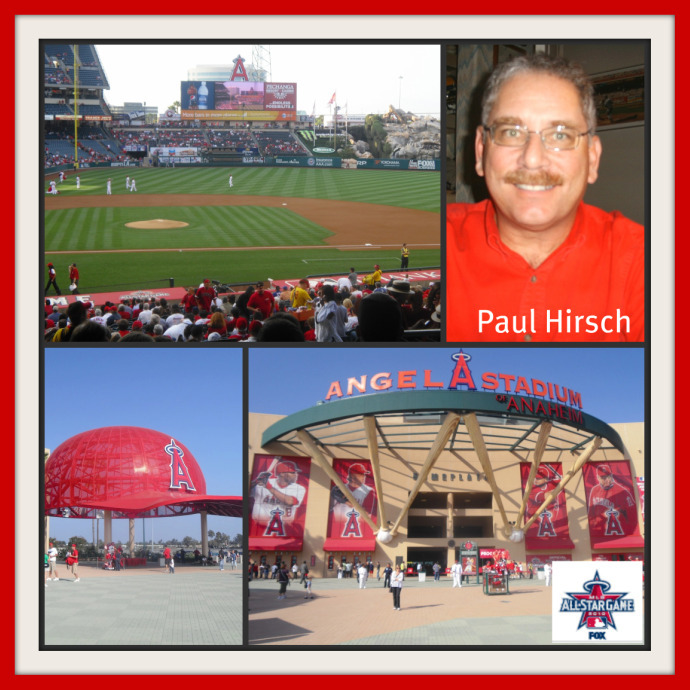 Ed then interviews baseball researcher, Paul Hirsch about his beloved Angels. The podcast concludes as Ed, Farley and Mark get ready to drive south on I-5 to America’s Finest City, San Diego.